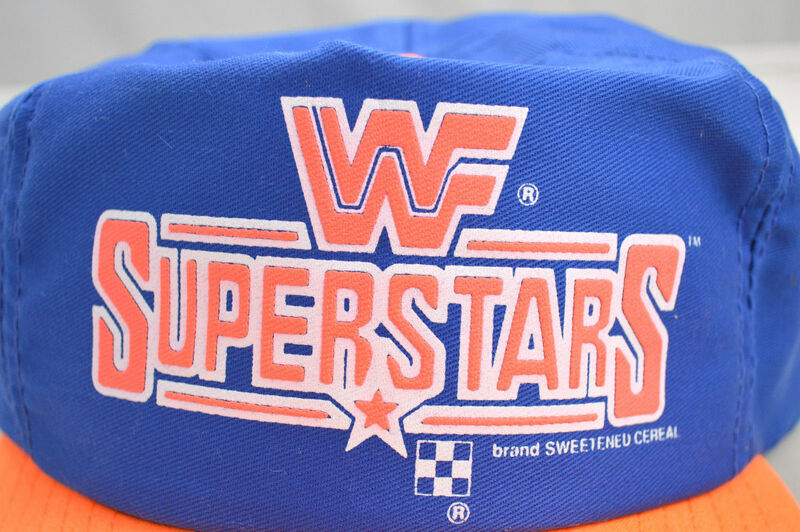 In the 1980s, Vince McMahon revolutionized professional wrestling with the creation of the World Wrestling Federation. While wrestling had been overseen by several organizations each with their own territory, McMahon sought to take his company nation-wide with the help of the ever-expanding new technology called cable television. Soon, the WWF would partner with the music industry to create the era known as the Rock ‘n’ Wrestling Connection, and he introduced the World Series of wrestling in WrestleMania. The four circulated box designs. 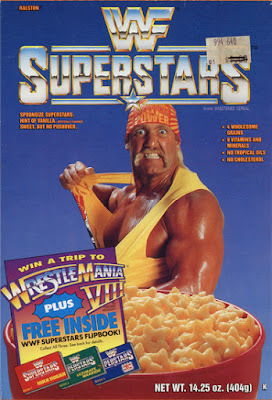 As part of the ever-growing merchandising and promotional push for the WWF, they teamed-up with Ralston to bring the most popular wrestlers of 1991 to the breakfast tables. 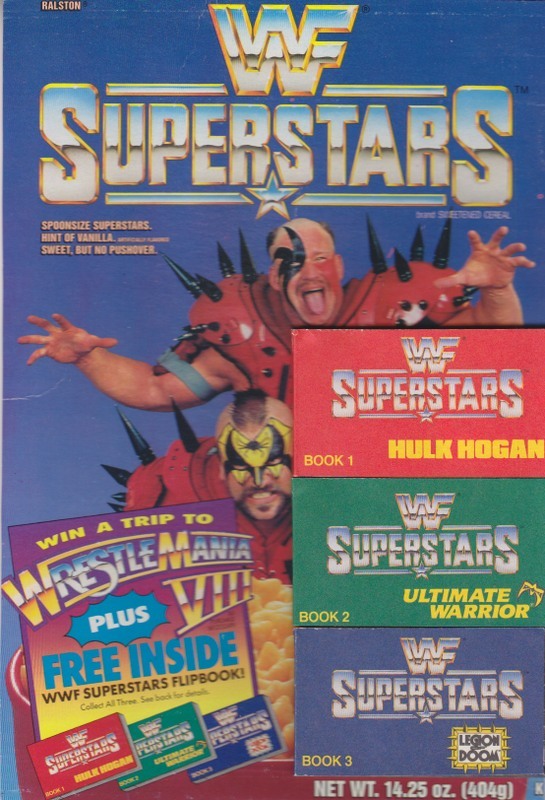 Ralston’s WWF Superstars cereal featured star-shaped artificially-flavored vanilla pieces. Ralston was sure to print prominently on the box that the cereal contained no “tropical oils” as a means to assure parents the cereal wouldn’t be heavy in saturated fats. 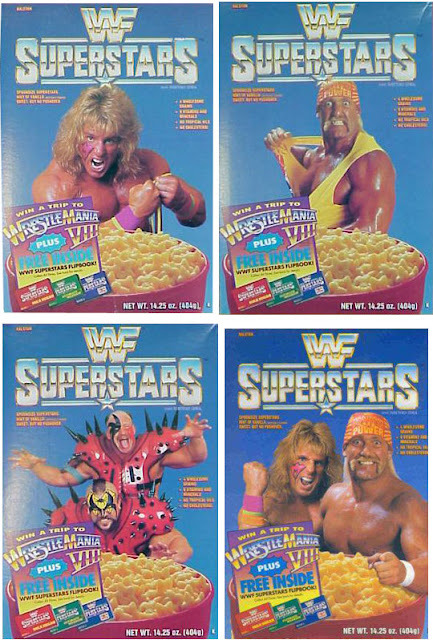 During the cereal’s brief run, the boxes came with one of four designs: Hulk Hogan, the Ultimate Warrior, the Road Warriors (aka The Legion of Doom), and Hulk and Ultimate together. The last box also served as the design for the promotional box sent out to stores to prompt them into carrying the cereal. A fifth unreleased box featuring The Bushwhackers has beenrevealed recently. 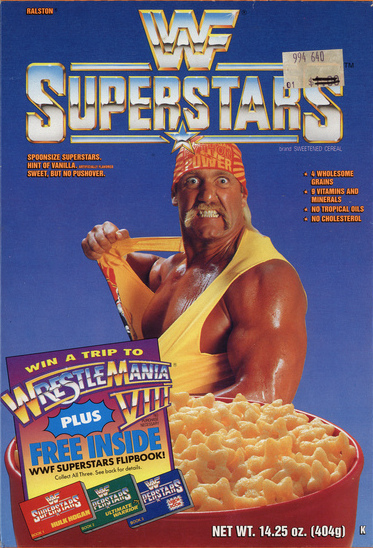 The cereal came with a few premiums promoting itself and the WWF. Eaters could send away for a hat with the cereal’s name on it or find one of three flip books inside the box. 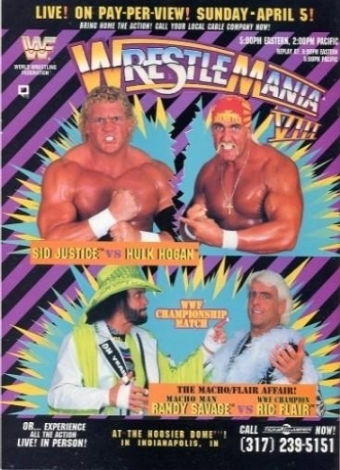 There were also two contests: a chance to win free WWF action figures, or a trip to WrestleMania 8.